There are some giant changes ahead for Michelle Meals. As such, I have created a Facebook fan page ( ← there's a link over there to the left) to keep you guys in the loop when those changes happen, so that NO MICHELLE MEALS FAN SHALL BE LEFT BEHIND. 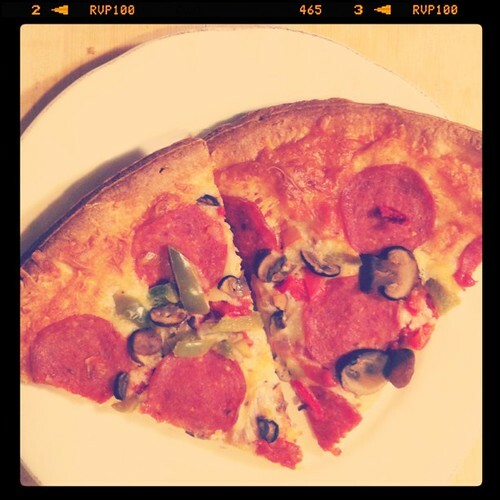 Fantastic fabulous Panagopolis pizza, when I am feeling indulgent and rich -- a Friday night pizza. 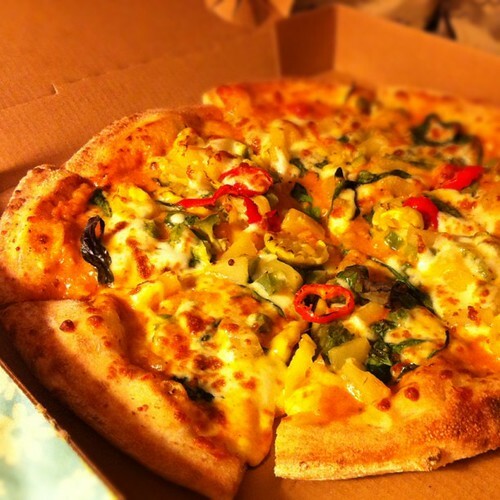 Recent favourites: Butter Chicken and Veggie Korma pizzas. (That's the latter pictured.) Both amazing. 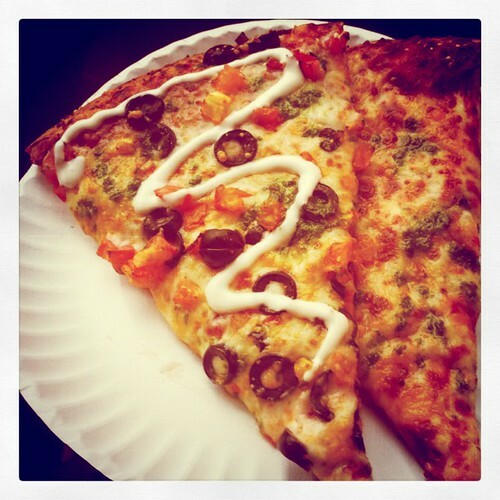 Not-so-fresh-but-everyone-else-seems-to-love-it Uncle Fatih's pizza. For when I am ON THE GO. 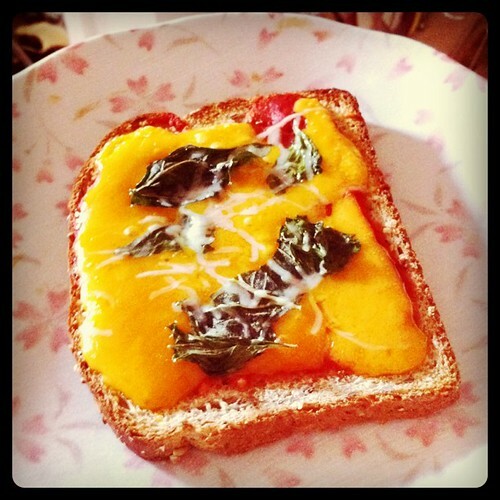 A pizza alternative: Toast, with tomato sauce, two kinds of cheese and basil. For when I am feeling poor yet just happen to have all these ingredients in the fridge. Pizza sauce made by Jay, using tomato paste and a secret blend of spices. So many frozen pizzas because they were on sale at No Frills, and then I just ate them all at once -- these are a mid-week pizza, and sometimes I'll buy one with pepperoni which sadly means Jay can't have any and I have to eat it all; pizza all night and then more for breakfast. Sigh.